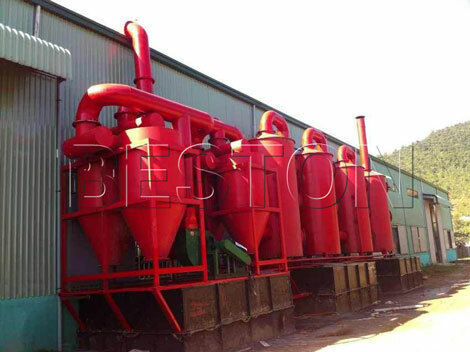 Beston Machinery manufacturing company is specialized in researching and developing various carbonization machines. In recent years, we have also published the wood charcoal making machine for sale which is mainly used to process the wood into bio-char. This kind of material can be used to produce the mosquito-repellent incense, and even barbecue carbon. 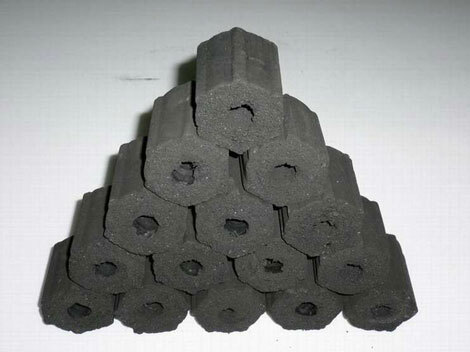 In addition, the bio charcoal has also been applied in industries of ink, paint, rubber and so on. How to make charcoal from wood? Beston machinery has adhered to the operation principle that integrity first, quality first all the time. So our wood charcoal machine has also introduced advanced technology and unique structure which can improve the quality of products. 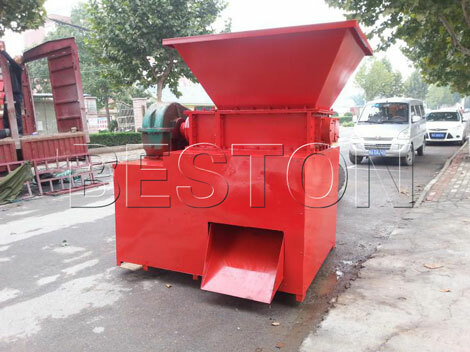 For example, because the lengths and shapes of wood are different, our wood chips charcoal making machine with pretreatment system has a crusher to make the wood materials carbonized uniformly. 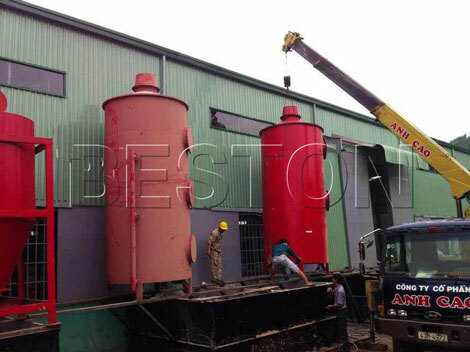 Moreover, different from other machines, Beston wood carbonization machine has low investment but high output, fast carbonized speed and continuous production structure, so that it can achieve one side feeding while one side discharging, which can save more time and more efficiency. In addition, all of our wood charcoal making machines have used the automatic equipment that reduce the manual power and cost. The wood carbonizer machine produced by Beston company has a reasonable and unique design, easy operation, small size and small floor area. All of these can provide clients with higher economic benefits. 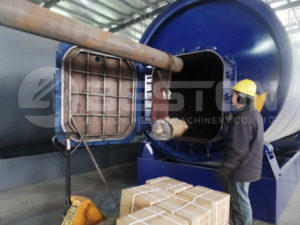 The carbonization of wood has adopted the design of SY structure, which is primarily made up of the fist-class pretreatment device that is drying, carbonization furnace and other supporting plant, including drive system, rack part, feeding system, cooling system, discharge device and dedusting system. The SY structure of Beston wood charcoal making machine for sale can make the raw material contact with the heat source for three times, which increases the heat utilization efficiency to save the energy. Finally, the temperature of tail gas will decline less than 120 degree centigrade due to the unique design of SY technology. Besides, the heat recycling efficiency can get to the 70% through the related department research. Beston wood charcoal producing plant, also belongs to biomass carbonization plant, includes two major parts: the first is the wood carbonization furnace, which has the warming chamber and fuel gas recycling furnace, and can recycle the CO to reduce the air pollution as well as meet the emission standard; the second part is dedusting system which includes the three filters to clean and purity the tail gas. In this way, the process of making charcoal from wood has fully realized the green production. 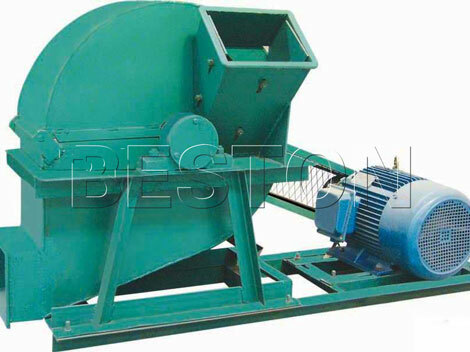 Why you should choose Beston wood charcoal making machines? 1. The charcoal making machine for wood chips will not generate any residue; because there is no additives and chemicals in the wood charcoal making process, its products also contains no waste. Our charcoal machines will create more profits even through the smallest scale. 2. The superior charcoal will not generate the waste liquid because it doesn’t need water in the whole production process, and will never cause the water pollution, needless to say the waste liquid. 3. The charcoal from wood will not generate waste gas; almost each production part merely can produce steam and a small part of combustible gas, so wood carbonization equipment usually has no air pollution. Send the information to us and our professional sales will replay you as soon as possible in 24 hour. Or you can also talk with our sale consult online directly.